Shepherd's Pie is an annual feature on our Pesach menu. It calls for very few ingredients and is quite filling. This is a family favorite. Add ground meat, onion, tomato paste, parsley, and a dash of salt and pepper in a pot. Cook until meat has browned. Stir and break up meat so that the pieces are small. While these are cooking, boil whole potatoes in water until soft. Then peel and mash. 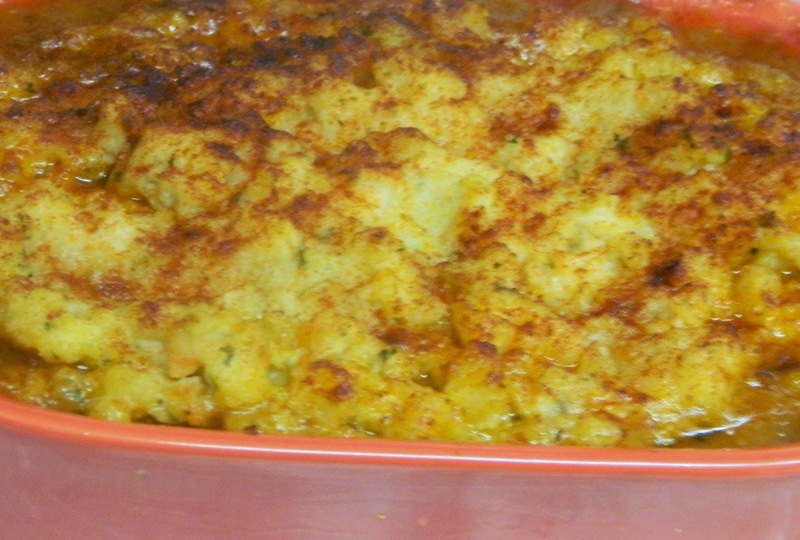 In 2 - 3 quart casserole, layer ground meat and potatoes. Sprinkle with paprika and bake at 350 degrees for 30 minutes. Isn't is amazing how many normal recipes lend themselves to Pesach! No need to be making everything with matzoh products. Of course being gluten free these kind of recipes work best for me.